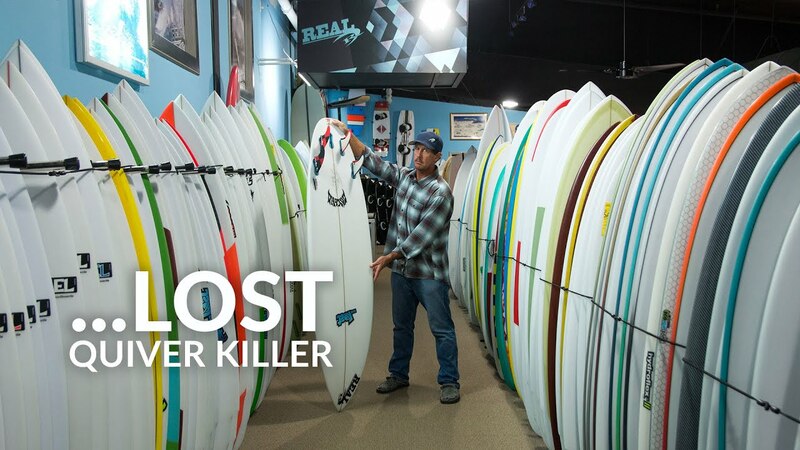 Surfing Surfboards Lost Surfboards Lost Quiver Killer Lost Quiver Killer Carbon Wrap 5'5"
Lost Quiver Killer Carbon Wrap 5'5"
The new Quiver Killer from ...Lost covers a wide range of surf conditions from waist high to well overhead. Boasting smooth clean lines and good volumes, this one is going to be very popular. The ...Lost Quiver Killer extends the range of the …Lost Short Round by adding a touch more overall rocker and changing the exit to a roundtail. 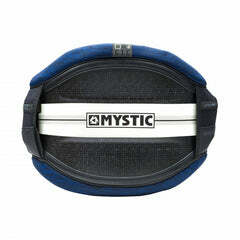 As the model name implies, this design has an extremely wide range of use, from grovelly zippers to overhead barrels. 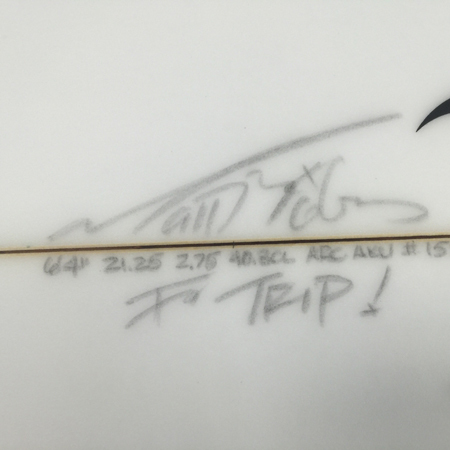 We tested this board on an 8-day trip to Surfari Charters in Nicaragua. Surf ranged from waist high to 2 feet overhead. 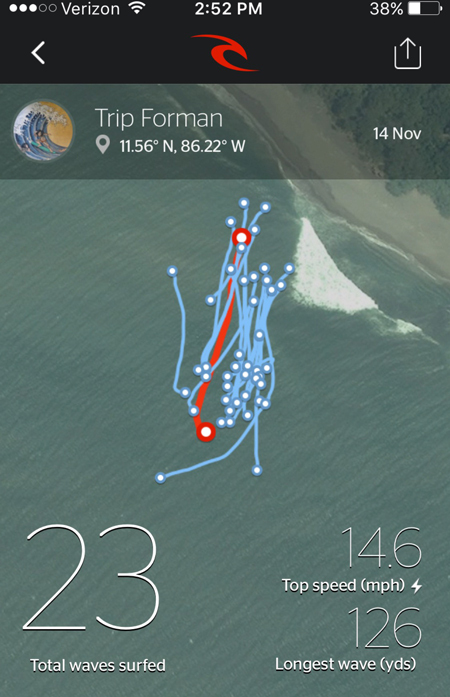 We surfed river mouths, beach breaks, reef breaks and points. 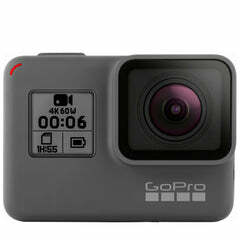 This is a great single board for all but the smallest and biggest surf. ...Lost Quiver Killer top of the stack and ready to attack. We spent most of our time surfing out of a boat, so not only was space tight, but a lot of times you were paddling in to the waves rather than out to them. This makes judging the wave size and power a bit harder. We found the Quiver Killer to be a trusty "go to" no matter where we were surfing and how big or small the surf was. It handled the medium to larger stuff as well as the outline and tail shape would indicate. Great paddle speed to get in early and set your line. The roundtail drew really smooth lines and held with confidence in the barrel. We surfed a few bigger days in a wide range of wave types from long walled up points to heaving, thick beach break barrels. In the larger walled up points, the Quiver Killer had noticeable drive down the line plus good glide thru long wraps on flatter faces. 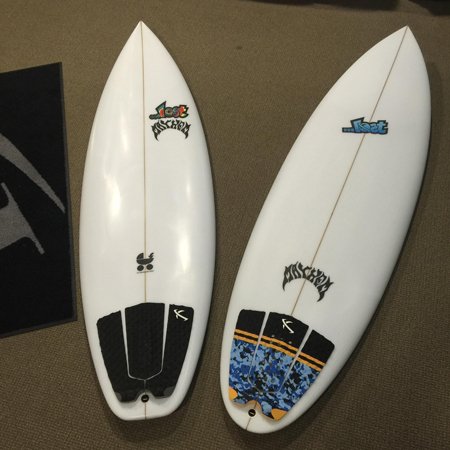 On the beachies, the Quiver Killer got you in early and made setting up for the barrel easier. The roundtail was easier to control on the steeper faces than the squash tail that is standard on the Short Round. Small, medium, big. Flat, walled up or heaving. The Quiver Killer killed it all. Even in the small stuff, the Quiver Killer shows some zip and gets the job done. 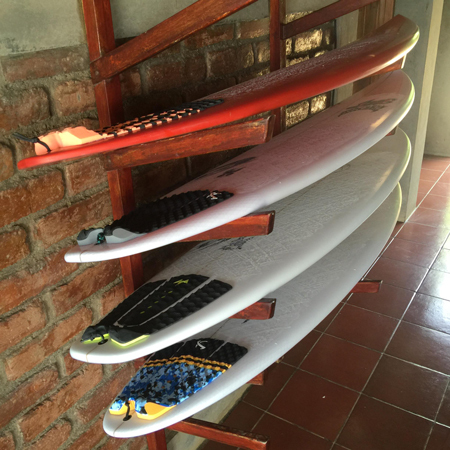 As impressive as the overall range, was the Quiver Killer's performance in smaller surf. Most of the time, when you take a board with an outline like this and try and make it work in smaller waves, it feels long and stiff. The Quiver Killer's width combined with just a pinch of additional overall rocker made it feel loose and nimble in smaller waves. You can obviously grovel with more speed and power on a ...Lost Puddle Jumper or similar, but the Quiver Killer performs admirably in the smaller stuff and is loose and fast enough to keep you stoking. We had some days, where at the wrong tides, surf dropped to thigh to waist high over cobble stone reef. 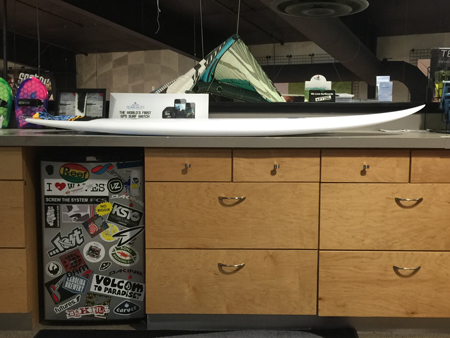 The Quiver Killer felt right at home, surfing loose and fast in the pocket. 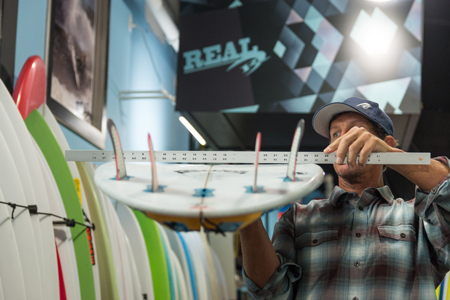 The wider/flatter nose gets you into waves easily and with speed, setting you up to tear apart little zippers. The Quiver Killer seemed to cover a slightly wider range of surf than the ...Lost Mini Driver, especially on the small side and with front footed surfers. The Mini Driver is still a popular and relevant design and excels in punchier surf especially with neutral or back-footed surfers. While the Quiver Killer covered everything we encountered, you may still want something narrower on the bigger/hollower days. The Quiver Killer held fine, it just felt slower rail to rail when you really didn't need the extra width for any part of the session. If all you're surfing are flatter faced waves or walled up points, it will handle and excel in anything you can paddle it into. 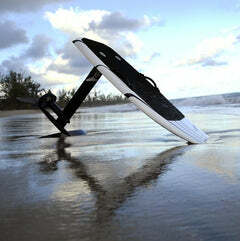 Throughout the course of the 8-day trip, we surfed our Quiver Killer set up both as a quad and a thruster. Just like the Mini Driver, the quad loosened it up and gave it some extra speed in the small stuff. 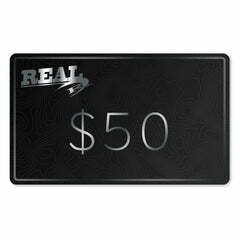 If works really well with both set ups, so whether you're a Tri guy or a quad fan, you're going to like this board. 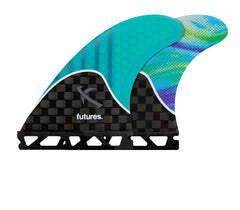 The fins we ended up liking the best on this board were the FCS2 Mayhem L 5-fin set, as well as the FCS2 Performer XL thruster, with medium sized FCS2 Performer Quad trailers when switching it up to quad set up. 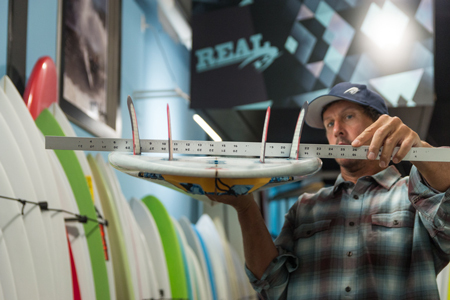 These fins were all sized around a larger surfer, so size down for lighter weights. 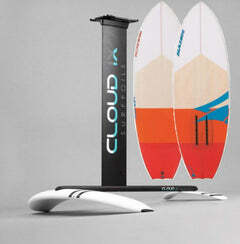 You're looking for a high performance hybrid design with maximum range of use, small waves thru pumping daze. By itself, it's a great board for clean thigh high through well overhead surf. 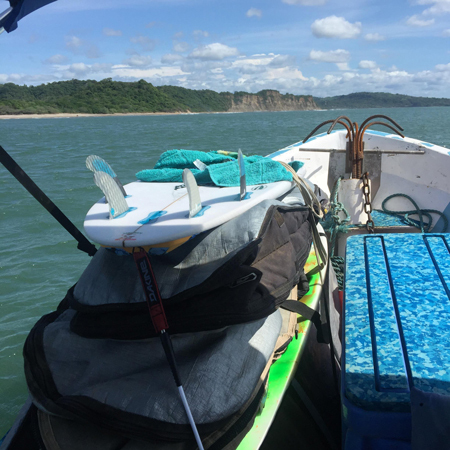 If you're adding it to your quiver, the Quiver Killer fills the middle of your bag perfectly or makes the ultimate single travel board for surf zones like Central America or similar. 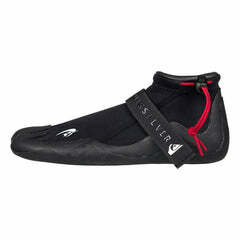 Lost Quiver Killer Lib Tech MBC 6'4"
Lost Quiver Killer Lib Tech MBC 5'10"
Lost Quiver Killer PU/Poly 6'1"
Lost Quiver Killer PU/Poly 6'0"
Lost Quiver Killer E.D.D. PU/Poly 5'9"